A quick view of the most influential metrics in Anna Maria Island. "Old Florida revisited" is the phrase that we probably hear most often when people describe beautiful and quaint Anna Maria Island. The northernmost of the barrier islands, Anna Maria Island is located in the gulf waters where Sarasota Bay, Tampa Bay and the Manatee River flow into the Gulf of Mexico. The complete absence of hi-rise condominiums (limited by law to no more than 3 stories) and easy beach access differentiates Anna Maria from it's neighbor to the south - Longboat Key. Here you don't have to live on the beach to enjoy its beauty. Take a stroll down most side-streets near the end of the day and join your neighbors, cocktails in hand, as they reach the end of the street and step onto the wooden walkway that leads them over the sand dunes and onto the pristine, uncrowded beach for a sunset walk. Here, most of the restaurants (with a few notable exceptions) are for casual dining. The Beach House restaurant at the south end of the island, and the Sand Bar restaurant on the northern end offer fabulous views of the gulf, scrumptious grouper sandwiches, an occasional strolling minstrel, and ice cold rum-runners. If you listen carefully, you might even hear Jimmy Buffet in the distance singing about cheeseburgers in paradise. 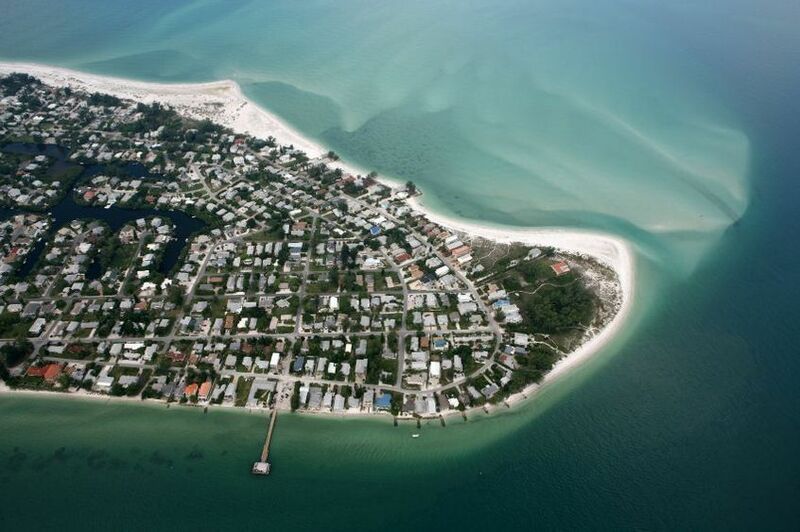 Three village-like cities make up the island communities of Anna Maria Island. The city of Anna Maria is a residential community situated at the northern end of the island, and made up of 2,000 mostly part-time residents. The city of Holmes Beach, in the center of the island is the largest community with just over 5,000 residents, and the city of Bradenton Beach is a charming community of 1,500 located at the southern end of the island. Newest listings in the Anna Maria Island area. Check out the latest demographic information available for Anna Maria Island. Browse through the top rated businesses in the most popular categories Anna Maria Island has to offer.